In an attempt to get back to its smaller rival, AT&T Inc. (NYSE:T) has launched a rollover data plan for nearly 50 million customers of the company. The Mobile Share Value Customers of the company, both new and existing, would be able to enjoy the data rollover services starting January 25. Earlier last month, its smaller rival, T-Mobile US Inc (NYSE:TMUS), announced a data rollover plan against its primary rivals including AT&T and Verizon Communications Inc. (NYSE:VZ). The rollover data plan from AT&T would be applied automatically to its customers with no additional charges and the customers with Mobile Share Value plans would be able to use the data until the next month. The users would be able to rollover unused data to the next month and this data would automatically kick in when the customer exhausts the monthly data limit. The rollover data is carried forward for one month only. 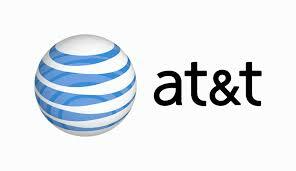 Users would be able to check their rollover data balance on myAT&T app and att.com. The key difference between the rollover data plan of AT&T Inc. (NYSE:T) and T-Mobile US Inc (NYSE:TMUS) is that T-Mobile would allow customers to rollover data for over a year whereas AT&T would offer the plan for a month. With mobile carriers offering aggressive price cuts and customer-oriented plans, it will certainly affect the profit margins of all the major companies.